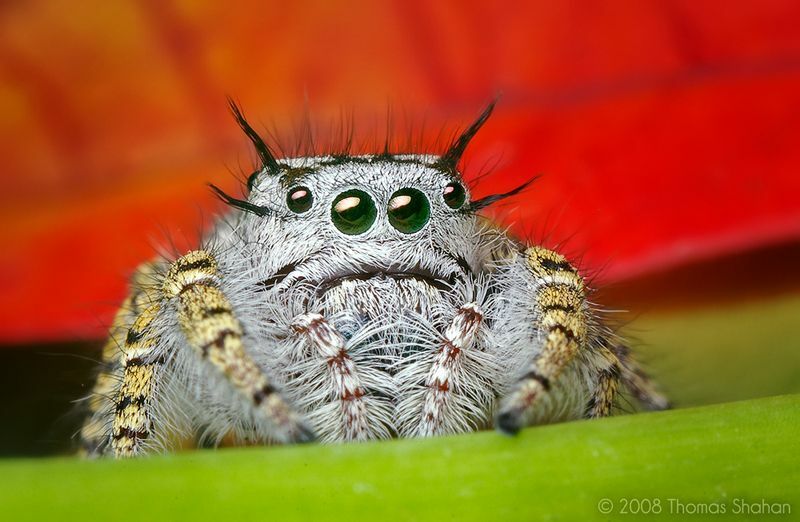 When you hear the word “cute,” “spider” is probably not the first word that pops into your head. 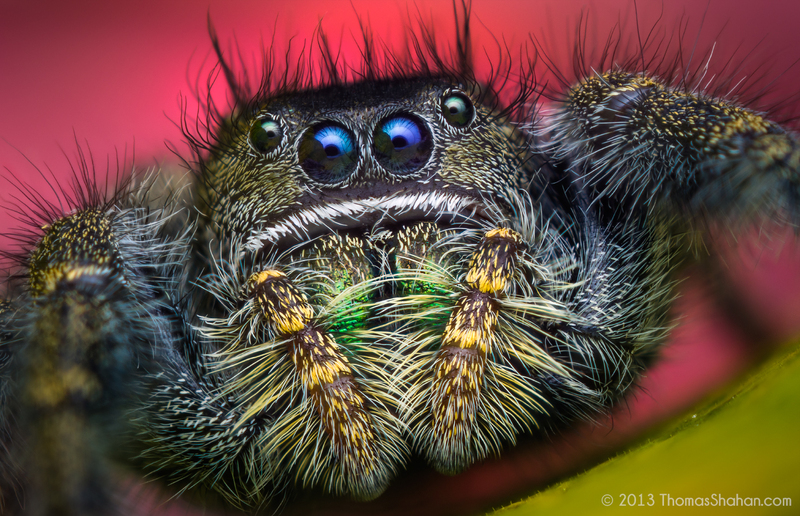 But photographer Thomas Shahan is out to change all that with his incredible macro photographs of doe-eyed jumping spiders. Jumping spiders are unusual in that the majority of them do not hunt with webs. They have powerful hind legs and the best eyesight among spiders, allowing them to hunt actively with powerful jumps. They can still produce silk, however, often using it to tether themselves before jumping or to create shelters. Wolf Spider - Hogna sp.